Donate to Send a Military Child to Camp! 2019 Operation Xtreme Summer Camp REGISTRATION OPENS Friday, November 9th! Started in 2011 as a summer camp for children of military families, Operation Xtreme gives military kids of all grade levels the opportunity to experience fun-filled camps. CRISTA Camps invites children of active duty, reserve and retired military members from all branches to a week or weekend of camp at Island Lake or Miracle Ranch to experience paintball, dirt bikes, horses, new friends and more! 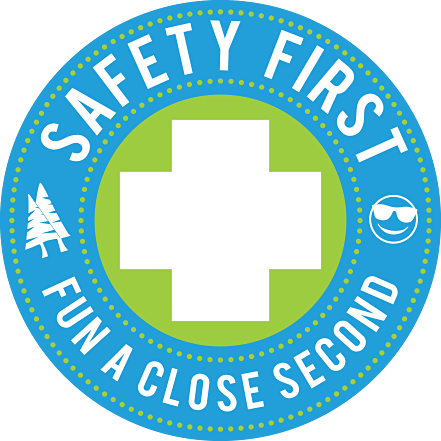 All branches of the military are recognized and honored at each camp, and we strive to create a community where campers feel understood, supported and–most importantly–ready for fun. 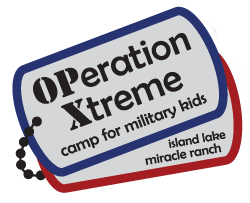 Fees for Operation Xtreme camps vary based on the rank of the military family member*. Please refer to the chart below for these categories. As always, thank you for your service to our country. *Gold Star Families may register at no cost. Eligibility - Entering grades 7-12 - ONLY for dependents of current active duty, reserve and fully retired military members, and Gold Star children (all branches). During registration, you will complete an eligibility verification form. At Island Lake, we don't care if you're a self-proclaimed adrenaline junky or if you get a little woozy around heights; if you fancy yourself the adventurous type, Island Lake has the outdoor experience you've been searching for. From paintball to dirt bikes, a weekend at Island Lake is the adventure-seeker's paradise. Eligibility - Entering grades 4-6 - ONLY for dependents of current active duty, reserve and fully retired military members, and Gold Star children (all branches). During registration, you will complete an eligibility verification form. Eligibility - Entering grades K-7 - ONLY for dependents of current active duty, reserve and fully retired military members, and Gold Star children (all branches). During registration, you will complete an eligibility verification form. Who wouldn't love the camp experience while enjoying the comfort of your own bed each night?! Day Camp at Island Lake is a jam-packed week loaded with the fun and excitement of camp from 8:00 a.m. – 4:00 p.m.* each day. Who wouldn't love the camp experience while enjoying the comfort of your own bed each night?! Day Camp at Miracle Ranch is a jam-packed week loaded with the fun and excitement of camp from 8:00 a.m. – 4:00 p.m.* each day.